WordPress is an amazingly powerful content management system. It has a lot of power under the hood for a small or medium business looking for an easy way to manage their web site. WordPress was designed as a platform for blogging, but you don’t have to use it as a blogging tool. With a few tweaks it can be used to run your website, with or without a “blog.” Because WordPress was designed as a blogging platform it has some distinct advantages. It is optimized for easily publishing and changing content. Getting good search engine rankings requires fresh, unique content. You need a system that allows for easy change when you want to update your website with a new page, article, or newsletter. WordPress is a great script. Often times people think of WordPress as just a simple blogging script like any other. However that is not correct. Today WordPress is being used in many ways and by some of the top businesses in the industry. It is a powerful tool with robust features. We have compiled a few reasons why you should use WordPress. WordPress is Open Source software which allows it to be used free of cost. You can use it on any kind of personal or commercial website. It is built on PHP/MySQL (which is again Open Source) and licensed under GPL. It is easy to update content on your website without knowing HTML. Once WordPress is set up for you, you can easily create new pages or edit existing pages directly from your Web Browser. You don’t really have to be experienced to use WordPress on your website. The administration section is easy to learn and navigate and its even easy to add articles. pages, images, and additional content to your website. There are huge numbers of themes available for use with WordPress. Themes are a series of files that can change the overall look of your site with just a few clicks. If you don’t like the themes that come with the default installation of WordPress, there are literally 1000’s of free themes that you can download and use for your website. There are also premium pay themes that can be purchased at low costs as well. WordPress plugins allow you to do just about anything that you want and can be installed quickly and easily. If you can imagine what you want to do there will be a relevant plugin that will easily do the job for you. You can setup WordPress installation allowing visitors to join your Website and login at it. You can also allot special functionalities limited to the registered users only. In addition, add-ons or APIs like Google FriendConnect, Facebook Login, Twitter Connect, Login with MySpace, LinkedIn Connect, and Windows Live Connect can be used to enhance this functionality. WordPress software follows all the Web Standards and keeps your blog or website compliant to all the rules that need to be followed when running a website. It is critically important to keep Search Engines in mind when building a website. WordPress uses different functions which allow it to be search engine friendly. For example sending pings to other sites, making categories, tagging your posts, use of h1/h2 tags etc. 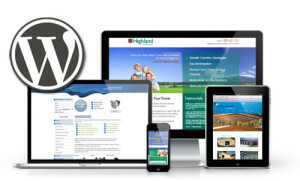 WordPress.org provides the complete, continuously developing and extensive documentation for WordPress at http://codex.wordpress.org/Main_Page. In addition, numerous tutorials and Websites are listed on the World Wide Web to help you in learning and modifying WordPress to fulfill your needs. These are only one Web search away. Upgrading from previous versions and other software is very easy to perform. More recent editions allow for a one click upgrade for all features in WordPress. WordPress comes built in with very robust tools such as an integrated blacklist and open proxy checker to manage and eliminate comment spam on your blog or site. There are also plugins that can take this functionality even further. The vast usage, enhanced documentation and large community support has made the WordPress a cost cutter. If you don’t know how to prepare a Website and ordering its preparation, then think to select it. Mostly the Web Development Companies costs less for WordPress than other CMSs due its customizable nature and other positive factors.